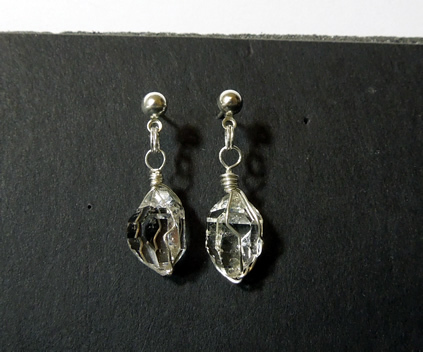 Notes: A pair of quality Herkimer crystal dangle earrings. The crystals measure 14x9 mm / 12+ ct. Both are double terminated with excellent clarity. Teeny seed crystal inclusions are present as well. The natural crystals are wrapped in .999 fine Sterling silver wire and dangle from surgical steel studs. 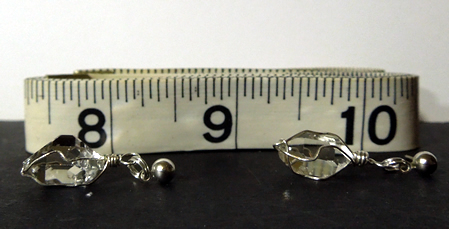 The length of these quality earrings is just over 1". A nice size for tweens. 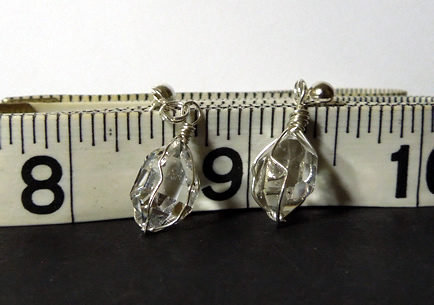 Pair of Herkimer crystal dangle earrings.